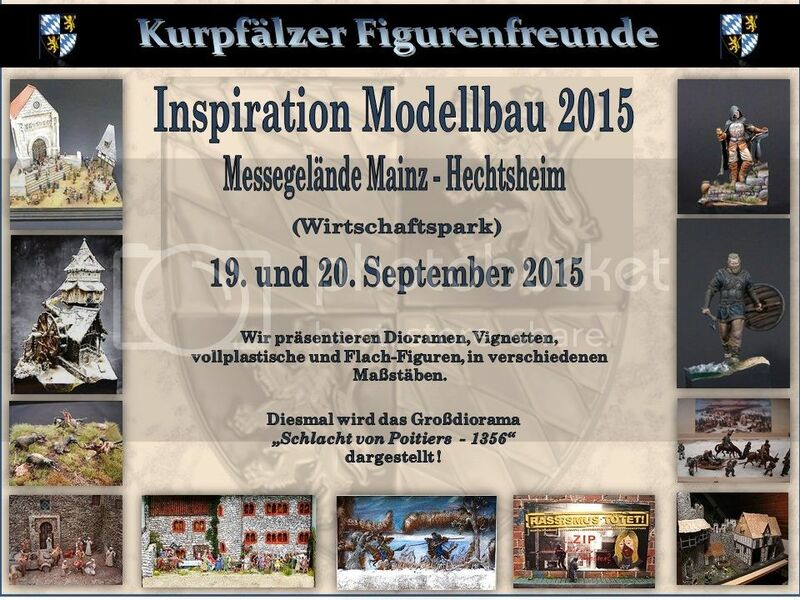 This comming weekend, 19.+ 20.09.2015, the "Inspiration Modellbau" takes place in Mainz-Hechtsheim!!!!! Anyone who is interested in figures should visit us! More information can be found here ...! Dirk, Thomas Dürrschmidt, me and many other Painters are participants of this great event, with a great and amazing figure-area!